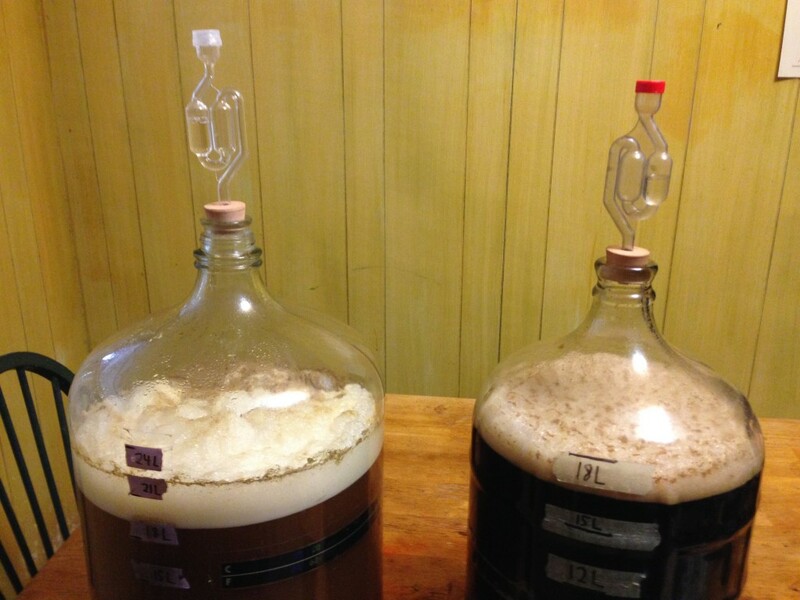 Pale ale (left) and porter (right) on Saturday. I’ve protected the fermenting beer with T-shirts over the fermenters, but took them off for the picture. I’ve been busy lately. In November, December, and the first part of January, I was writing my first book — a collection of homebrew recipes with additional information about the techniques or ingredients featured in each recipe. I spent 9 hours a day, 6 days a week (7 near the end) writing and revising the manuscript. It’s scheduled to be published in October. I’m biased, of course, but I think it’s going to be a useful book for homebrewers. In any case, I was excited to have the opportunity to write it and I hope everyone enjoys and benefits from it. Two weeks ago, the photographer came out to my house and shot the pictures for the book. As part of that week, I brewed two beers, with him documenting every step. Here’s a quick recap of those brew days.